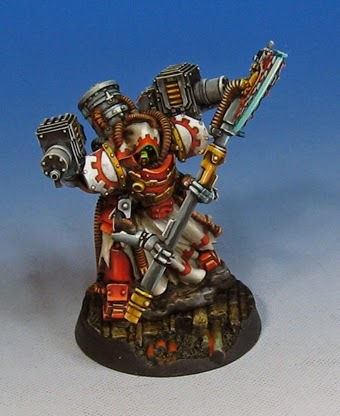 Here we have one of the Myrmidons from the Mechanicum army. These very unusual minis are not the easiest to assemble, as the arms come in multiple pieces, and only fit in one way. The problem is, there's no directions, and the pictures are tiny of the ones they had painted! Those who have watched me paint in person, checked out the blog, or watched on the videos knows how much I love to make semi-transparent middle tone colors. 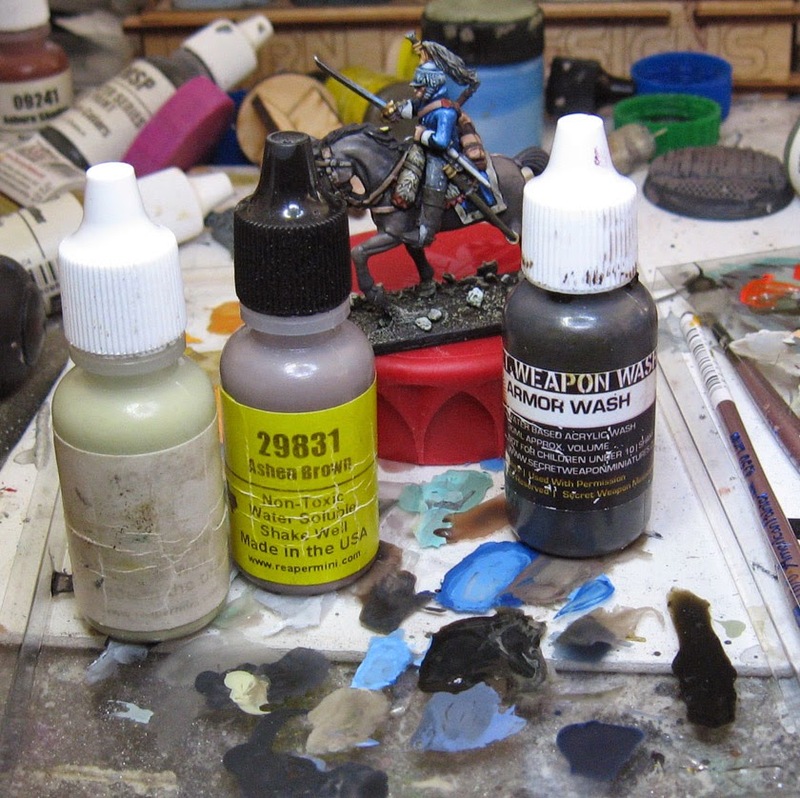 These are, in effect, my "airbrush", the layer that does massive amounts of blending and smoothing. The shaded basecoat and even glazing phases are more brutish than the typical approach to mini painting. 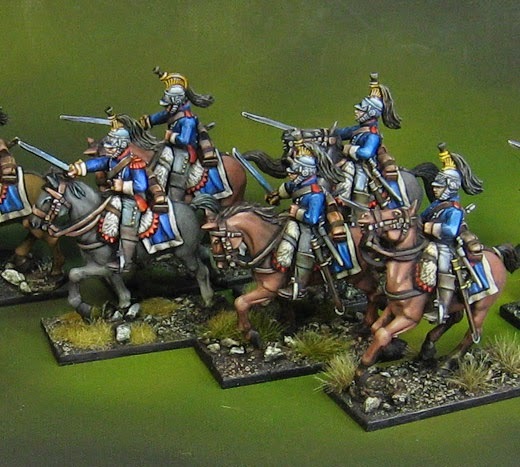 Mixing lighter standard paints like those on the left with one (or lots!) of Mr. Justin's Secret Weapon Washes create these semi- opaque colors. Since they have that transparent nature, they are excellent for lightening subtle midtone areas, like those on this horse. It's something that I have been doing on all the horses, the riders, and so on. 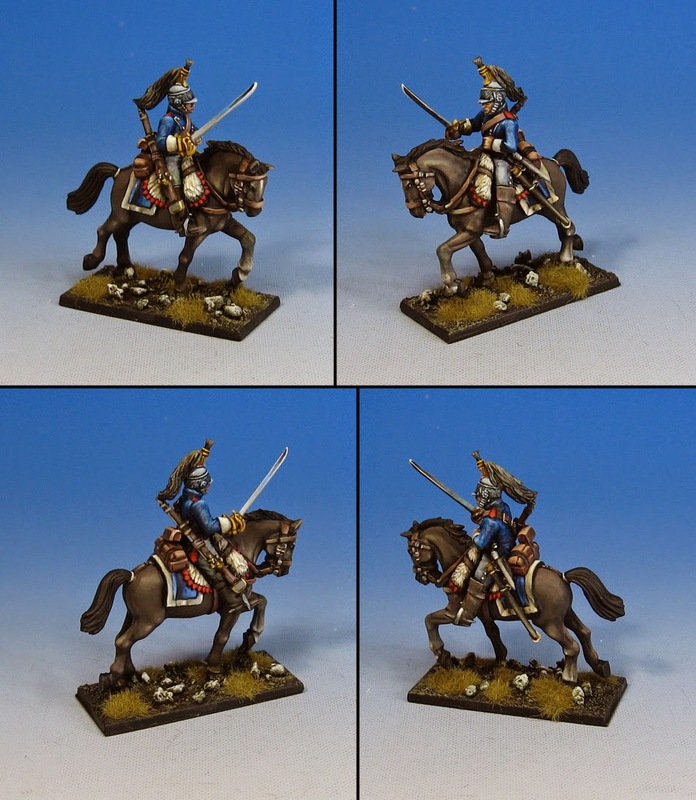 This works on everything from faces on standard 28 mm figures, all the way up to vehicles and large creatures. I used this technique on the Sand Buggy that was posted earlier, especially on the wheels and the metal surfaces. At some point, I have to get the giant version of this green Hangar 18 backdrop! !